In-Tune is the newsletter for piano lovers. Much of the material for In-Tune comes from our world famous piano forums. Baldwin closed their Trumann, AR factory in December. The closure ends production of Baldwin pianos in the U.S. We've been trying to get answers from the company about what is going to happen to Baldwin, but haven't yet gotten any substantiated details. They did have quite a few pianos showing at NAMM, but I couldn't find anyone to talk to (or hear them above the noise as they were in the Gibson guitar room). WINTER DRYNESS Can Destroy Your Piano! Live entertainment from professional pianist and Broadway singers/actors. Overall it was the best show for us (PW) to date. Made lots of good contacts and picked up some advertisers. The response from dealers and suppliers/manufacturers varied quite a bit however. Brass vs Rubber Casters Which is Better? 12 Fingers - Helpful or Hindrance? No joke. Baby born with twelve healthy fingers (and twelve toes). Could this be an advantage in playing? 12 Fingers ... Better? Our hearts go out to our members and their families/friends from Down Under (we have lots of members in Australia). The Victoria area has been severely hit by brush fires that have already claimed a number of lives. Do You See Colors With Your Music? Mason & Hamlin 2009 Factory Tour? People are already asking about the 2009 tour (smart people know the tour fills up fast). We are hoping to get a date soon from our friends at Mason & Hamlin. There will definitely be a tour this year, I just don't know when yet. As soon as I hear back from them I'll post the details on the forums. Let me know if you'd like to post an event on our Calendar, and/or have it mentioned in our newsletter. Email Frank B.
piano tuning equipment, piano moving equipment, and more. 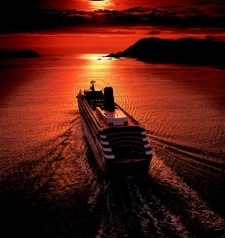 PWPF - Choose a Cruise! We are organizing our first official PWPW piano cruise, with the help of a travel agent. Starting out with a 5-7 day cruise out of Florida, hoping to expand into longer (and farther) cruises in the future. Please read this thread, and cast your vote. Reminder, when Posting Pictures on the Forums PLEASE use our uploader, or if you have a lot of pictures, send them to me. Too many good pictures disappear because they were linked to photobucket or one of the other services, and the users account closed. Our Own Piano Girl RMG plays with Marian McPartland. Robin is a pianist, composer, and author. I have both of her books, Piano Girl & Rhythm (thanks Robin). Just finished reading Piano Girl: A Memoir , it's a riot! If you've ever played out, or thought about it, you have to read this book. Even if you haven't, you can get the inside scoop on the "glamorous" world of piano playing. Hear the interview and performance with Marian McPartland on NPR. Speaking of Books, the 12th edition of the famous Pierce Piano Atlas is now available. How would you like to take your piano playing to the next level? We will soon be upgrading our Piano Forums software to a new version. It will have a left and right column around the center content. We polled members and they didn't want to pay any kind of subscription fee (other than a few supporters who have always been willing to help, my thanks to them). In order to keep supporting the 8 cpu system and high-speed hosting, and continue to grow and add features, we will need to increase revenue from advertising. Hence the new design (which will also give us new features). During the transition, the forums will be unavailable for anywhere from 5 - 10 hours as our developer imports everything into the new version and tests everything. I will send out an email warning about the shut down, and a quick follow up when the forums are open again. Considering how many people visit and/or use the forums every day we have a pretty good record. However, lately there have been a few too many instances of rudeness, along with an increase in Sock Puppets (what's a sock puppet? ... Sock Puppets, and getting banned). As I've said many times before, lively discussions are fine, rudeness, name-calling, insults, etc. ARE NOT ACCEPTABLE!. If you are guilty, and you're lucky, you'll get warned by one of our moderators. Persist and you will either be given a "time out"(access temporarily suspended), or you will be banned. Lighten up folks, it's a Piano Forum! If you are in the piano and/or music business and you would like to reach our music loving audience, please visit our Advertising Information page at: www.PianoWorld.com/advertising for information about placing an ad in our Classified's button display ads on the forums and/or run of site, or in this newsletter. The Piano World web site (including the forums) averages millions of page views a month, with upwards of 330,000 unique visitors. Our newsletter (the one you're reading now) goes out to over 28,000 music lovers. We offer very effective classified/display ads, run of site, and spots in this newsletter. If you are looking for a professional Piano Dealer, Tuner, Mover, Teacher, Restoration Shop, etc., please try our Classified Ads first. These folks are all professionals in the business, and kindly pay us to Advertise on Piano World (which helps support PW and the forums). It's Fun to Play The Piano ... Pass It On! 39,000+ Forums Members, Over 1 Million Posts, and still growing!